Department of posts (DOP) announced the launch of National Postal Day Offer in association with Indian Telecom Giant BSNL and Mobile Phone manufacturer Pantel Technologies Limited. As per the latest information, Penta Bharat Mobile Phones will be sold through Post Offices at a discounted rate of Rs.1999 only. The offer includes bundled free talk time of 1999 minutes for 1 year. The bundled free talk time offer is available only with BSNL SIM cards. The focus of the company was on providing affordable devices. 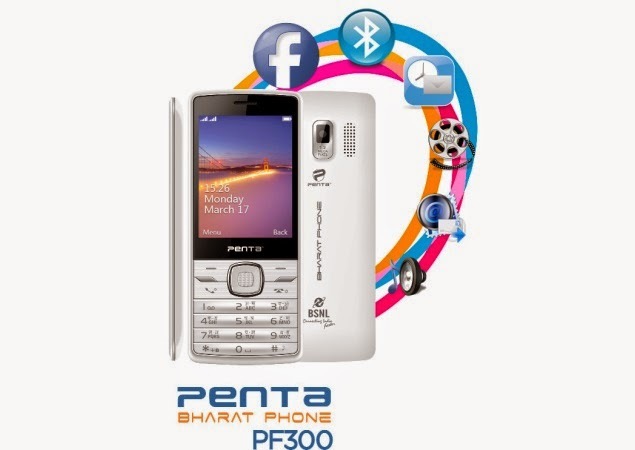 DOP has already started the sale of Penta Bharat mobile phones from 07-October-2014 onwards. “We signed an MoU with the Department of Posts last month and will train their staff to explain the benefits of the phone,” says Pantel Technologies Managing Director Vijender Singh. BSNL was preferred for the good reach in rural areas, the decision to join hands with India Post is driven by the wide network of over 1.50 lakh post offices and 400,000 postmen. Whether this bundled offer attract more customers? Please share your opinion about this bundled free talk time offer with Pantel Mobile Phones.